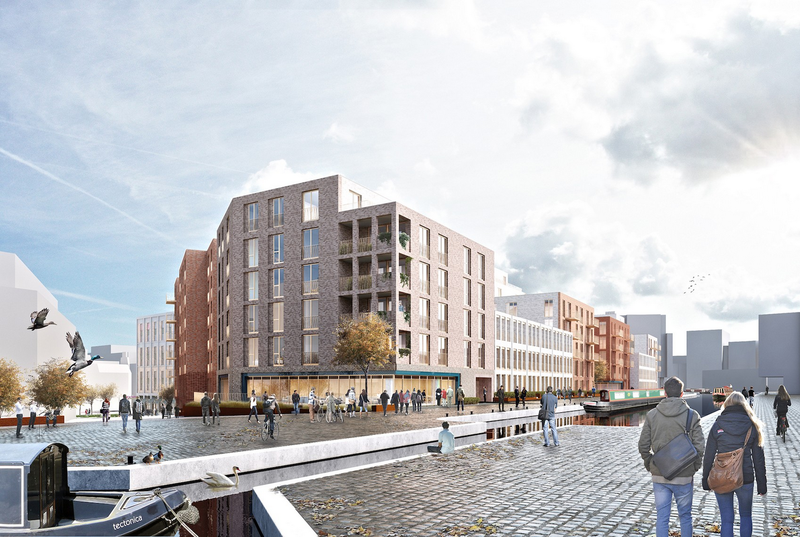 Vastint Hospitality is to continue its regeneration of Edinburgh’s Fountainbridge with the submission of new mixed-use proposals. 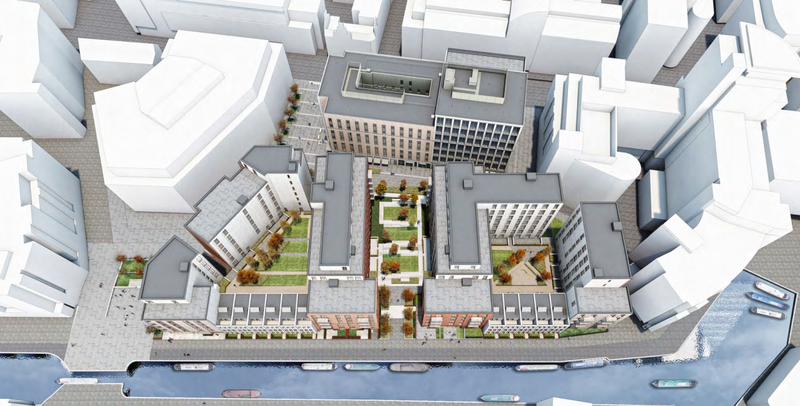 Architecture practice 3DReid has lodged plans with the City of Edinburgh Council for 234 homes for private rent as well as six commercial units on the site of the old Fountainbridge Brewery site. The proposal represents the second phase of development on this site by Vastint. The first phase – 5236.9 sq, m/56,370 sq. ft. (NIA) of offices, a 262-bedroom Moxy hotel and several commercial ground floor units – were approved in June. The proposal includes the formation of a new public space adjacent to the Leamington Lift Bridge which, along with the civic square identified within the phase 1 scheme will complete the link from Upper Grove Street to Fountainbridge. In a statement the architects wrote: “3DReid has submitted planning for phase 2 of Vastint Hospitality’s ambitious plans for New Fountainbridge: a mixed use development offering office, hotel, residential, retail and community uses set within a public realm in the heart of Edinburgh.